News broke late yesterday that the new Platinum Dunes produced Friday The 13th film was pulled from the release schedule, which was a huge shock in itself as production was ramping up with shooting schedules ready and casting beginning to go forward. At first, it was thought Paramount realized the October 13th date would be unrealistic to achieve with shooting starting in March and perhaps needing more time for post-production and marketing. We started receiving messages from a few people that not only was the film pulled from the release schedule, but shooting was cancelled! Sadly, the rumors of production being halted on the much anticipated return of Jason Voorhees to the big screen are true as The Hollywood Reporter learned and confirmed that Platinum Dunes and director Breck Eisner were informed early yesterday that Friday The 13th would not be going forward. This is a heavy blow for the fans that have been more than patiently waiting or a follow-up to the 2009 hit reboot that was written by Mark Swift and Damion Shannon. This new development is particularly crushing to me personally as being a devoted fan and someone who has chronicled the many delays of creating a new film, I am quite frankly besides myself. This new film seemed like the best shot of receiving a new Crystal Lake adventure, the closest fans have gotten to seeing a new film released since 2009. Why did this happen and what's next? Still in the rumor phase, but more than likely true (according to someone we have talked to) is that Paramount got cold feet after the disappointing to opening weekend of their latest horror release Rings. That film reportedly cost $25 million to make and only made $13 million on it's opening weekend. Friday The 13th was to go into production on a reported, yet unconfirmed budget of $21 million. It seems as though Paramount was worried that Friday The 13th would suffer the same fate as Rings. 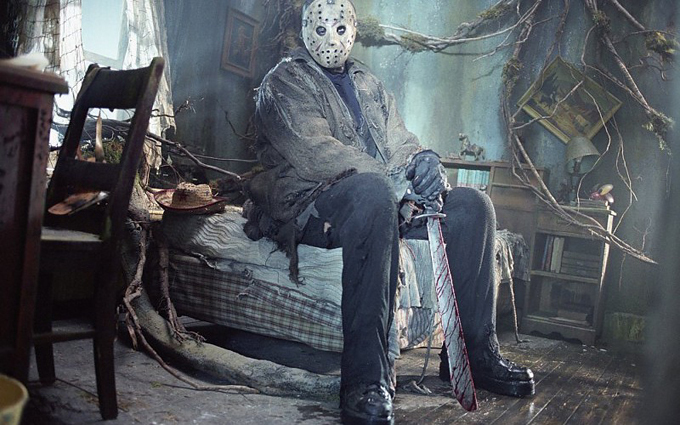 We all know that Friday The 13th would not open to a paltry $13 million, however, studio execs seem to be quite disconnected from the fanbase they are catering to. With that being said, where does this leave the new film going forward? The deal with Warner Bros to have the rights to produce a Friday The 13th the film on their own should be expired in 2018, meaning that Warner Bros. would get the film rights back and fans most definitely will never see the Aaron Guzikowski/Breck Eisner film that was to go into production. Dedicated and loyal fans deserve better than this and I still believe we will all see Jason Voorhees on the big screen again some day soon!